The new Polo is an impressive vehicle: Its processing and technology set standards in the small car class – and that is the reason why the worldwide largest tuner of cars from the Volkswagen group turned his concentration to the Polo. The result is a little sports car in a form which makes a man's heart beat faster. And which women will also love. From the outside, the small car from Bavaria oozes character, the rear spoiler, and rear apron insert – both in the expressive carbon look and the double-pipe exhaust make it look bold and dominant. The titan-colored type Z 8x18 inch ABT wheels suit the car well. 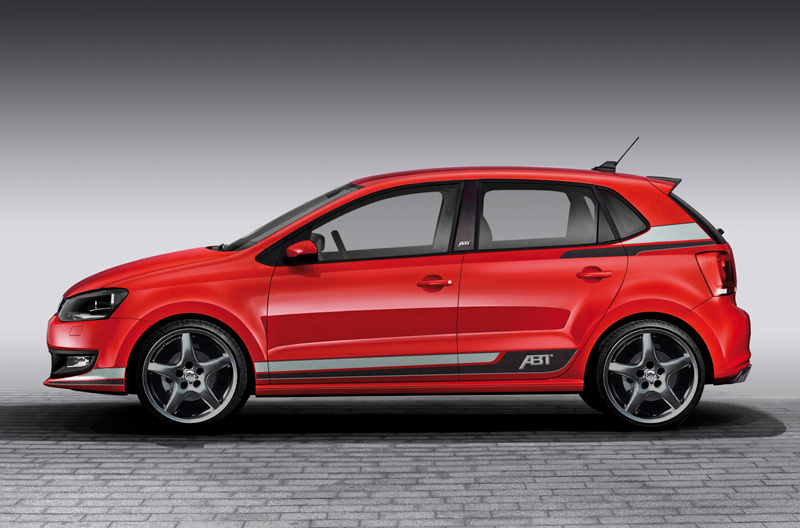 In the area of the underside of the door decals with the ABT logo show that the Polo is a pure thoroughbred from the Allgaeu sports car family. 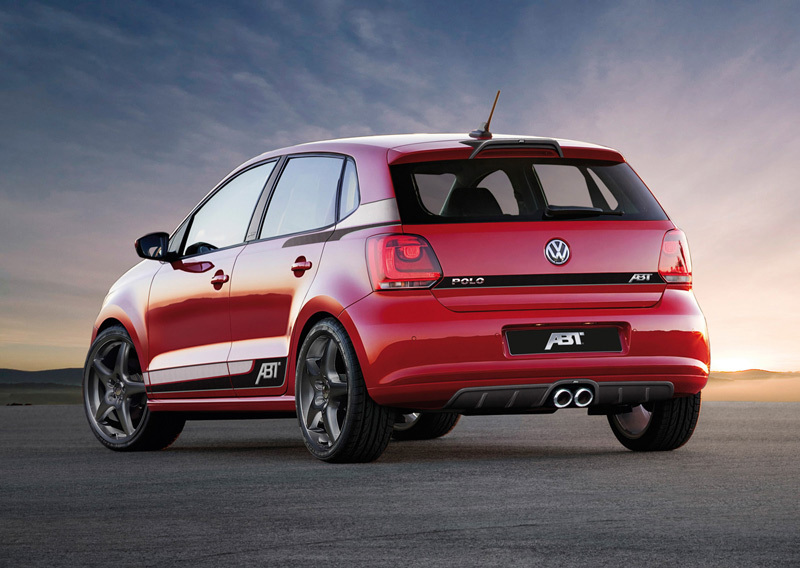 ABT Sportsline of course also offers performance improvements for the Polo. They can give an extra kick to all turbo engines: The 1.6 TDI is available in different output levels – starting at the series standard engine. For example with ABT POWER, 75 HP (55 kW) is converted into 90 HP (66 kW), and after ABT treatment the 90 HP engine provides 110 HP (81 kW) and the 105 HP (77 kW) diesel engine is increased to a sporty 130 HP (96 kW). The extremely economical 1.2 TSI also provides 130 HP or 96 kW (series standard: 105 HP / 77 kW). The fuel consumption values – and thereby also the CO2 emissions – remain at the level of the series engine. The tuner recommends to use ABT springs for an extra amount of dynamism. Doing so lowers the core of gravity of the vehicle, and the Polo lies better and safer on the road. The smallest ABT is thereby not inferior to its larger siblings in any way, and offers optimum driving enjoyment with maximum everyday usability.